Downton Abbey has old and new characters this season. Among those new characters are three handsome men who happen to be inside the February issue of Vogue. Julian Overden (aka Charles Blake), Tom Cullen (aka Anthony Foyle, Lord Gillingham), and Gary Carr (aka Jack Ross) are seen looking dapper and picture perfect. They even dished about their time filming Downton. In September’s Attitude magazine, Tom Cullen, one of the newest cast members on Downton Abbey ‘s Season Four, graces the cover and is looking every bit the heart-throb. No wonder Lady Mary is smitten! The 25 year old Welsh actor dished on what it was like to work with the Grande Dames of Downton. “The thing about Maggie is, because she’s been doing this for so long, she knows how to get the best out of a scene and she doesn’t take any bull****. The cast of Downton Abbey has been busy this week. They journeyed to Los Angeles for a press tour and they were dropping hints at every stop!!! It is possible this post may contain spoilers so proceed at your own peril. Michelle Dockery was shocked at the death of Matthew Crawley in Season 3. 2. The storyline of Season Four picks up during February of 1922 (a few months after Matthew’s death) and ends in Spring 1923. 3. Mr. Carson and Mrs. Hughes don’t hook up. 4. Lady Mary and Tom don’t hook up either. 5. Lady Edith is going to get be busy in Season Four. 6. Lady Mary has a bevy of suitors. “There’s a character called Blake, played by Julian Ovenden,” Michelle tells HollywoodLife.com‘s sister site TVLine. ”And Evelyn Napier (played by Brendan Patricks) comes back, as well. He was the one who brought the Turkish diplomat along. That was lovely to play scenes with Brendan again because we haven’t seen him since season one. Of course, there’s one suitor — Gillingham, played by Tom Cullen – that appears to be leading the pack. 7. O’Brien leaves the Abbey. Presumably with Shrimpie and Susan Flintshire on their way to India – it was sort of set up in the Christmas Special, if you remember anything before the final scene of Matthew dying. 8. Mrs. Patmore gets an electric mixer. Daisy loves it but Mrs. Patmore isn’t quite sure. 9. Downton Abbey will be around for a Season Five. Why can’t it be January (or September, depending on where you live) already?!?!?!?! 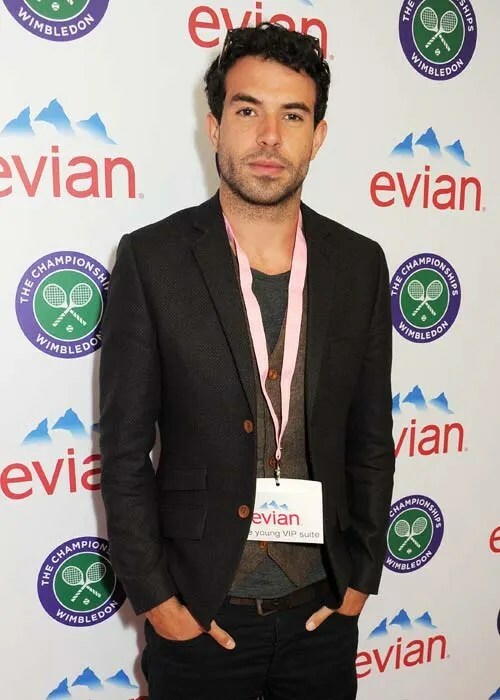 Welsh actor Tom Cullen will be the newest heart-throb on Season 4 of Downton Abbey as he plays Lord Gillingham. It is rumored that Lord Gillingham will be Lady Mary’s new love interest as she finishes her grieving for poor Matthew Crawley (Dan Stevens). But is Tom available off-screen as well? Sorry Downtonians, he is taken. Unfortunately for us, he has a girlfriend. Tom and Tatiana Maslany have been dating since last September. The 27-year-old Canadian actress is best-known for her role on the sci-fi thriller Orphan Black. She also appeared in the film The Vow. The happy couple hasn’t confirmed how they met but most bets are that they met each other on the set of the epic World Without End. Forget Words with Friends or Candy Crush Saga!! 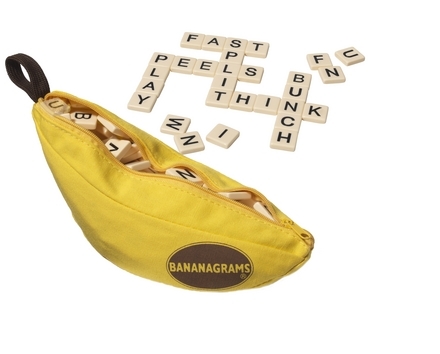 The cast of Downton Abbey is too busy playing Bananagrams to be bothered with such modern games. And who wouldn’t love a game that comes in a cute banana carrying case??? Apparently, Michelle Dockery (a.k.a. Lady Mary) recently explained to The Sun that new cast member Tom Cullen (a.k.a Lord Gillingham – Lady Mary’s new love interest) brought the game along to the set of Downton Abbey and the rest is history. Tom Cullen was named the 2011 Most Promising Newcomer at the British Independent Film Awards. This Welsh actor has starred in television mini-series such as Black Mirror and World Without End. He has been cast to play Grantham family friend, Lord Anthony Gillingham. Apparently he is Lady Mary’s latest suitor who attends a party to bolster her spirits. Oh my!! !